A set of Twin Peaks action dolls have been unveiled. 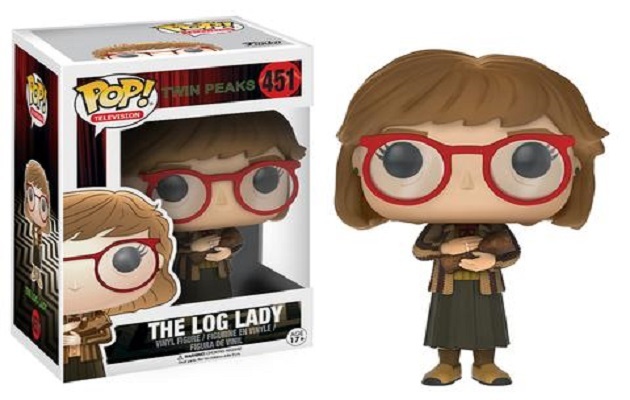 The toys were recently launched at the London Toy Fair and include Agent Dale Cooper, Audrey Horne, Log Lady, Laura Palmer’s corpse, Leland Palmer and Killer Bob. The figurines, which you can view below, will be available later this year. Twin Peaks season 3 will premiere on May 21. The cult David Lynch show originally came to an end in 1991 but has been brought back for a third season on US network Showtime. It will return with a two-episode, two-hour premiere, with the third and fourth episodes to be made available online immediately after the season premiere. The season will consist of 18 episodes in total, with the network’s CEO, David Nevins, describing it as “the pure heroin version of David Lynch”. Naomi Watts, Tom Sizemore, Laura Dern, Amanda Seyfried, Jennifer Jason Leigh, Robert Knepper and Balthazar Getty have all been cast in the revival series. They join original cast members including Kyle MacLachlan, James Marshall, Sherilyn Fenn and Sheryl Lee. A Twin Peaks season 3 teaser trailer has also confirmed that David Lynch will reprise his role as detective Gordon Cole in the revival. In October, Showtime released a behind-the-scenes video from the set of Twin Peaks. The two-minute “featurette” includes contributions from classic cast members Kyle Maclachlan and James Marshall. Several new recruits including Robert Knepper and Jim Belushi appear too. It also contains shots of co-writer/director David Lynch behind the camera on the revival series. Miguel Ferrer who played FBI pathologist Albert Rosenfield recently passed away at the age of 61. He was part of the cast to return for the upcoming revival season of the David Lynch cult show. Ferrer also appeared in the original RoboCop movie as Bob Morton.